Keynotes must be inspiring, but what if your keynote inspired and informed? A speech that makes the audience laugh and makes them think? Our keynotes do all of these things, and more. With Joe Knight, co-author of Financial Intelligence, as your speaker, your audience will learn that financial knowledge is a powerful tool that can lead to both job and personal success. Along the way, they will have fun, learn a lot, and walk away with critical know-how. Below are some of the topics we have covered in keynote addresses. The Secrets of Finance Revealed– Managers and leaders need to know the secrets of finance and accounting to work effectively. Joe will reveal what accountants don’t tell you that will help everyone be more successful at work. Joe will share what financial professionals do every day as part of their jobs – they make estimates and assumptions that lead to a bias in the numbers. He then outlines the questions they need to ask and the places they need to look to take into account the estimates and assumptions. This knowledge will give them the power to critically evaluate options, make solid business decisions, and create a strong, balanced organization. The Five Critical Numbers – Your leaders need to know what Wall Street really cares about when looking at companies’ results. Learn the five critical numbers they study and why they are key numbers. The Love Affair with EBITDA – Managers hear about EBITDA all day long, but rarely know what it really means. Your audience will learn why CEOs and CFOs love it, what it measures, why it is a god measure of performance, and the other key measure that is moving in on the love affair. Return on Investment (ROI) and Capital Investment – Learn how to build a business case to justify significant investments such as capital investments, investments in new business initiatives, business expansion, even business acquisitions using key ROI models. You will learn how to use payback, net present value (NPV), and internal rate of return (IRR) as tools to justify and analyze significant investments businesses make. You will be taught fundamental ROI concepts and go over a simple case study to see how these concepts work. The Power of Financial Intelligence – Imagine salespeople understanding the key financial issues of customers and prospects. Imagine managers understanding the strengths and weaknesses of competitors. This is the keynote that will show your audience that they can uncover the real story behind the numbers. The Financially Intelligent Approach to Project Based Businesses – Many project based businesses struggle to measure profitability on long-term projects while they are in progress. Make sure your project based business is measuring, tracking and communicating in a way that supports profitability. 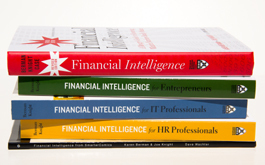 Joe is co-author of Financial Intelligence, a smart, no-nonsense business finance handbook for managers. The book has been heralded as “The Elements of Style” of finance by CFO.com and as an “accessible, jargon-free” book by Accounting Today. Joe has also been a guest on Bob Brinker’s Money Talk show on KABC radio and CNBC’s Morning Call program. As CFO of Setpoint Companies, he spearheaded the financial education of engineers in this automation and roller coaster company. Under his leadership, Setpoint became an Inc. 500 company and was featured in Inc. magazine and A Stake in the Outcome. Joe’s background also includes finance at Ford Motor Company, Bell & Howell, and Arrow Dynamics, as well as consulting in the fields of finance and project management. 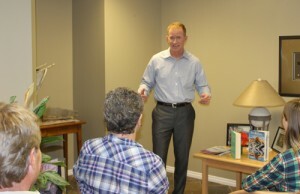 Joe has served as a professor at University of Phoenix and Westminster College and is a frequent guest lecturer at Brigham Young University. 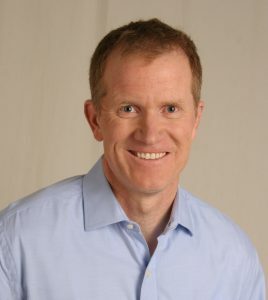 Joe received a bachelor’s degree in economics from Brigham Young University and an MBA from University of California, Berkeley. Contact us to schedule a keynote address for your event. Great speaker; great stories to illustrate his points; I understand finance stories better than ever! I’m impressed because I hate math, & it’s not so scary anymore! Did a great job of putting financial terms in layman’s language. Finance can be a dry subject; this was not! Excellent workshop! BLI delivered; kept a complex topic interesting and applicable. Fantastic presentation! Witty, knowledgeable & an outstanding teacher.